A collection of amazing feats of human and animal endeavor. It's all about things that just can't happen...and the people they happen to. How this incredibly tasteless show lasted four seasons, I have no idea...but eventually they went too far and the public had had too much. In the history of American television, "That's Incredible!" must rank as one of the most tasteless and dubiously educational of all time. Time Magazine called it the "most sadistic show on television". Why? Well, the show didn't exactly start out that way. It began a lot like "Ripley's Believe It or Not", "You Asked For It" and a circus sideshow all put together. I remember seeing acts such as folks walking on coals or glass, a yogi would could scrunch himself into a tiny plexiglass box and the like. However, as the show progressed, in order to keep people watching the stunts became more tasteless and outlandish. In particular, they had stunt people doing progressively more and more dangerous things...and several resulted in people being horribly mangled...it was show shown on the air!! I remember two of them well. One involved an idiot stuntman running through a tunnel of flames and when it was completed, he'd burned his fingers off...and they showed his charred and still smoking stumps!! Another one (and one of the last) was when an idiot was going to jump at the last second as cars plowed at him from opposite directions. He didn't time his jump properly...and his foot was ripped off! 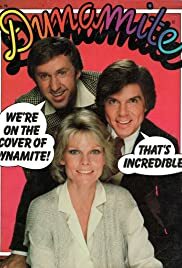 By this point, the show had run its course, the network was embarrassed by yet another publicity stunt run amok and the public began turning to other programs. Clearly a low-point in human history...entertaining but also a show that often made your skin crawl or embarrassed you for liking it!